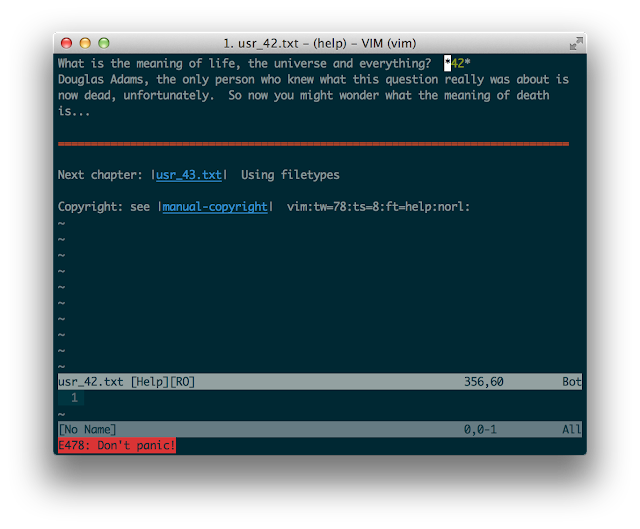 I've switched my vim's color scheme from oceandeep to solarized. Oceandeep is an eye-friendy dark color scheme great for people who prefer not to be distracted by highlighted text. However, it makes you feel a bit awkward when you launch vim from a console because it supports only gvim. I got hungry for "uniformity", and solarized came in. Solarized is a color scheme maintained by Ethan Schoonover provides uniformity to your environment; it supports not only editors (not limited to vim!) but also other system development tools like terminal emulators and IDEs. 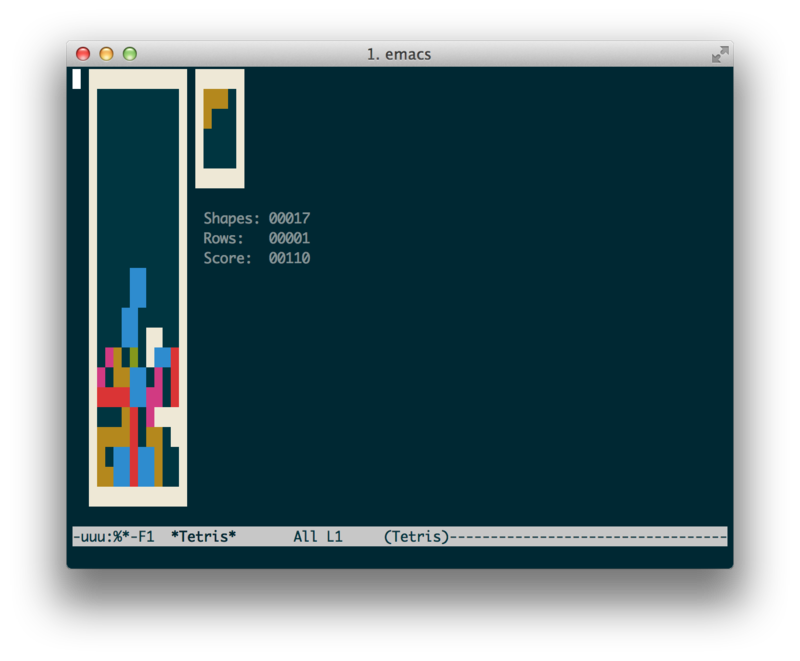 I've changed color schemes for vim and iTerm2, and they look coordinated. Awesome. 1. The switch to be updated is in a factory default configuration. 2. IP address of the switch is 10.240.0.2/24. 3. IP address of the tftp/scp server is 10.240.0.3/24. 4. User name for scp server is switchadmin. 5. The feature set will be upgraded from ipbase to ipservice. 6. The switch will be updated to c3560-ipservicesk9-mz.122-55.SE7.bin. 7. The switch does not require a web console. 3. Check whether the device can hold both current and new IOS images in the flash. 3.2. Check a free space on the flash. 4. If the flash does not have sufficient free space, delete the current IOS image. Delete the image file with "delete flash:/filename" or "delete /force /recursive flash:/dir_name"
! Assume the image is stored on tftp root directory.
! "copy " part can be omitted, in some IOS version.
! Don't use scp since it takes more time than you thought.
! Just specify the path to the boot image. 1. If the boot loader needs update, it will be done automatically when the first time the switch is booted up with the new image (, and it causes a reboot).
! Assume the image is stored on "flash:/c3560-ipserviceslmk9-tar.122-55.SE7.tar/c3560-ipservicesk9-mz.122-55.SE7.bin"
2. Downloading an image is a quite high load task. The CPU usage went up between 84%-77% while transferring. It should be done in a maintenance window. It's been ages since a serial port disappeared from a laptop PC. Nevertheless, network devices requires a serial connection as a our-of-band connection. I grabbed a USB serial adapter UC-SGT, but my laptop (15' rMBP 2012, Mountain Lion) needed a trick to recognize it. Caution: kext cache needs to be rebuilt; otherwise, you need to issue kextload /System/Library//Extensions/ProlificUsbSerial.kext command every time you boot the box. Note: TU-S9 from TRENDnet works on prolific's driver without changing plist. There are several options for transferring files to a cisco device. Tftp is a traditional way. Scp is also supported by IOS from 12.3(2)T, 12.2(14)S (encryption needs to be supported by the feature set). If no in-band connection is available, xmodem will become an option for it. Whenever transferring a start-up configuration, it's better to think about using scp in favor of tftp since not a few passwords are on the config in a plain text or in an obscured form. Type 7 encryption is just an obfuscation that is cracked within a second, and even type 5 encryption can be decrypted with a massive computation power since the salt is also on the same file. I needed to tftp server to update IOS images for switches in my home lab. Mac OS X has its native tftp daemon and will do for the purpose. 1.1. -w option erases <key>Disabled</key> entry in tftp.plist and launch tftpd. 1.2. If you want to make tftpd persistant, think about security concerns since there is no authentication in tftp protocol. (i.e. at least adding -l option to tftpd.plist for logging, caring about permissions for files/directories. 2. -F option is needed since /System/Library/LaunchDaemons/tftp.plist has <key>Disabled</key> entry. 3. The owner of /private/tftpboot/ is root and its permission is 755. It's an easy step with GUI. Note: The firewall on the system is automatically adjusted to pass an incoming ssh connection. kext cache rebuild is just a two-step task. It's NOT recommended to execute kextcache manually. after they have finished, which invalidates the existing caches and causes the system to update all necessary kext caches.